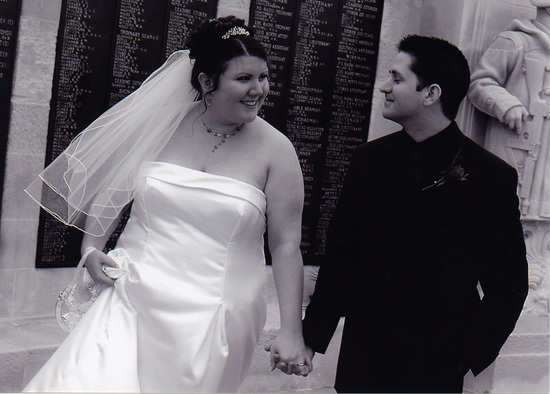 …because it’s mine and Mr. L’s Wedding Anniversary! He wants to know if bank robbers have to serve as many as 6 years (or um, 10 if you count the rest of it). I want to know where the hell my eternity ring is and just how many children I need to pop out in order to get one. Happy Anniversary , hope you both have a lovely day. I got (managed to wangle) an eternity ring from the Mr recently because we passed the 10 year mark (since we met, not since we have been together) so hang in there! Awwwwww Happy Anniversary!!! I hope you’ll always be happy and in love! Sweet! Ah, no posts, but tell us when you come back from running into the sunset! Happy Anniversary!!!!!!! you two look lovey on thse pictures!!!! aww hope you had a lovely day girl! Awww happy anniversary! The pictures are beautiful and you look so happy and cute together. Aww, happy belated anniversary sweets! How cute? £18.00 and available from Lisa Stickley Love it! Bedcrumb - Self Indulgent Loveliness!